Girls Who Code was founded with a single mission: to close the gender gap in technology. We’re building the largest pipeline of future female engineers in the United States. Girls start out with a love of science and technology, but lose it somewhere along the way. Let’s help encourage that passion in teen girls. 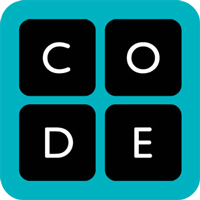 Simply put, code is a tool that lets you write your story with technology. If you can code, you can communicate your ideas with a computer or a program so they can be brought to life in bigger, brighter, and more creative ways.